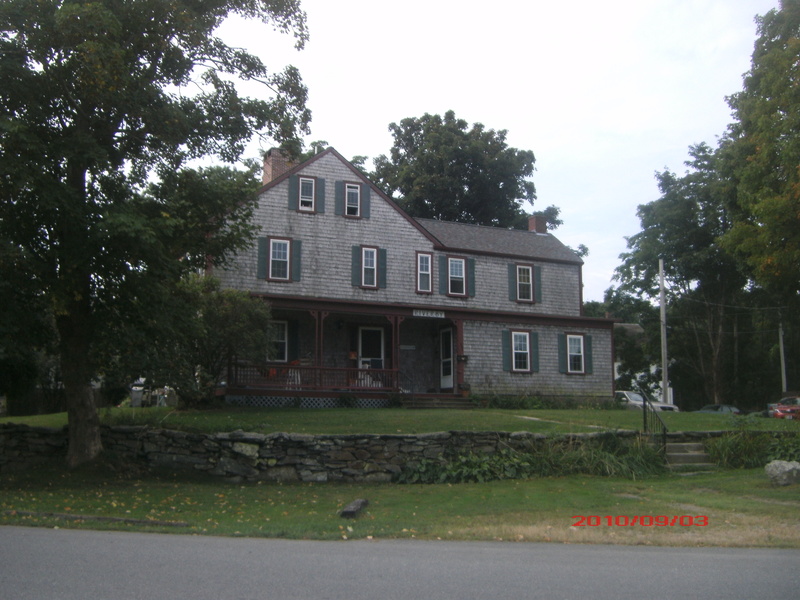 Long before Emma Borden abandoned her sister, Lizzie, in late May of 1905, she had very close ties to many Gardners in Swansea, Ma. 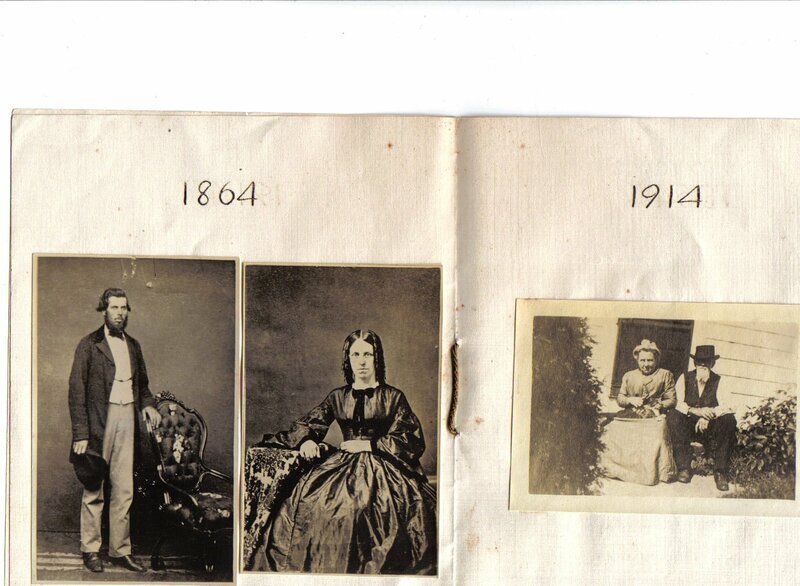 But after she split from Lizzie, some of those Gardners became a surrogate family to her. 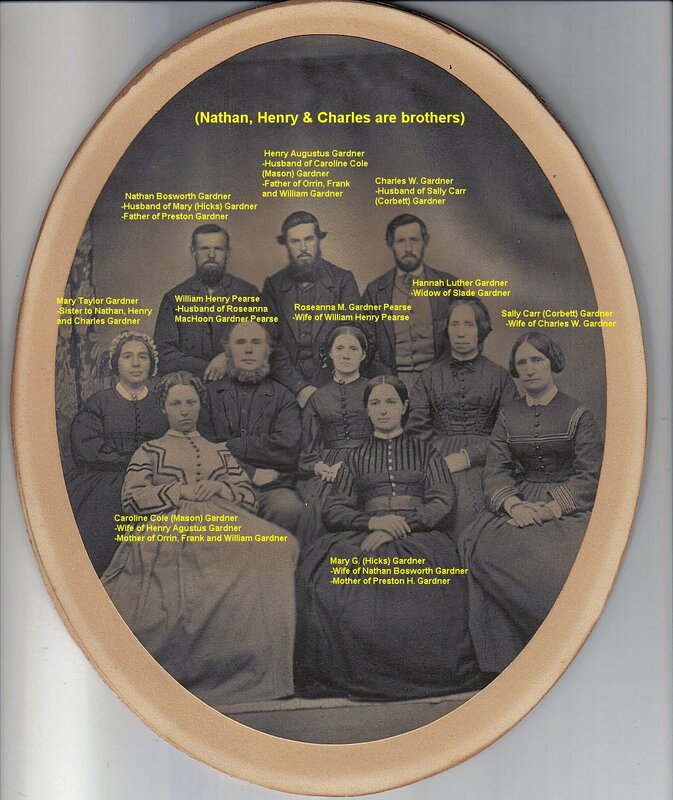 The progenitors of those that Emma would embrace, socialize with, attend major family events, and help financially in trusts and her will, are those in the oval picture below (click it to enlarge). Why were these people and their children, and even some of their children’s children important to Emma? 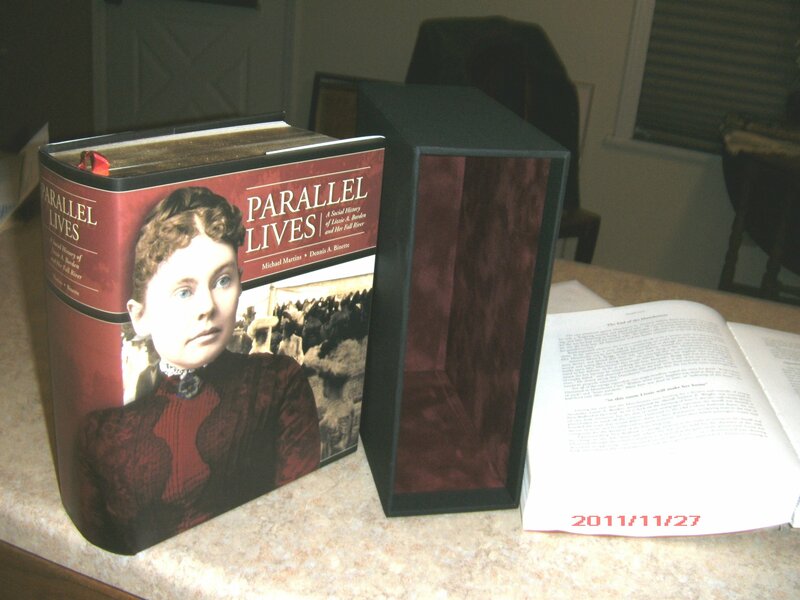 Well, the genealogical link was addressed in this blog post. 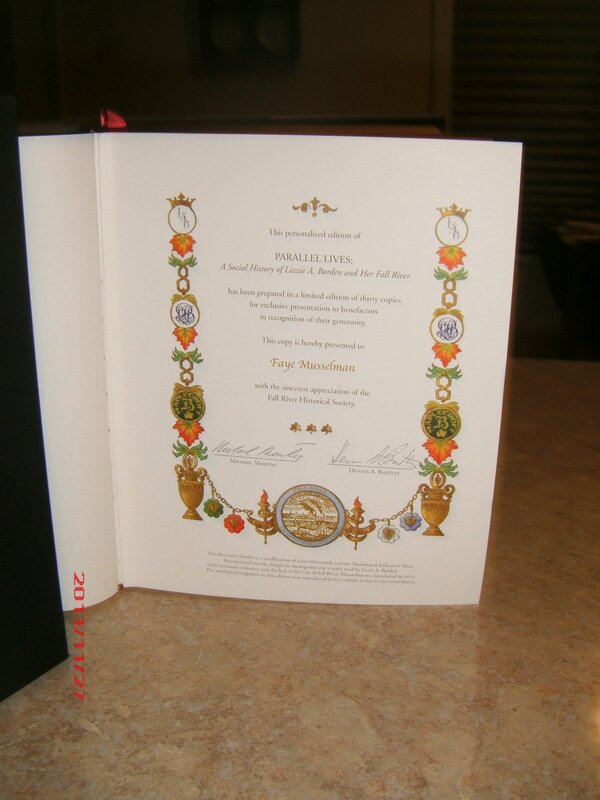 If you’re interested, study the names and who married who….there’s more to come about events she attended. 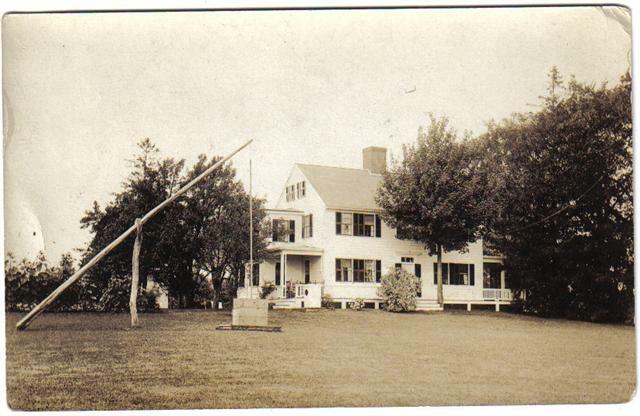 The direct line of Henry Augustus Gardner is the most important – and closest – to Emma. 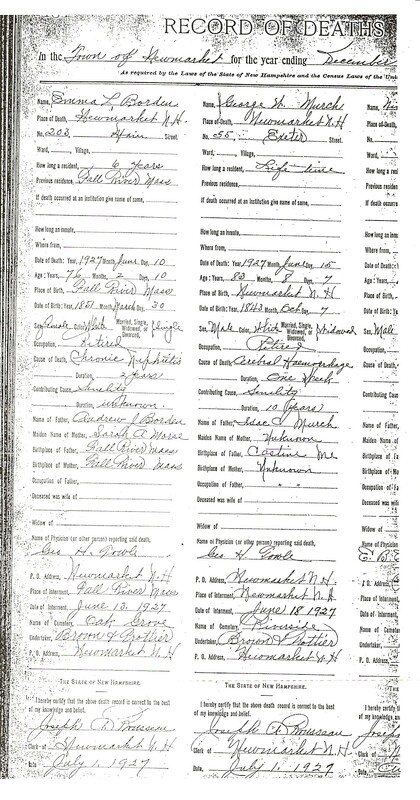 Much of the information I have obtained was from his estate records and from direct descendants. As for Lizzie, well she was pretty much written off by these Gardners around early 1897 due to two hugely embarrassing incidents to this quiet, salt of the earth, family entrenched group. Lizzie had her servants, dogs and a few loyal friends. 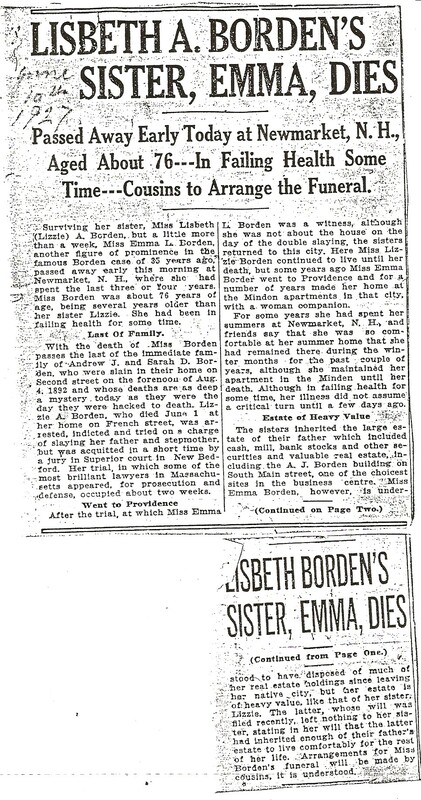 Emma Borden died in the early morning hours 9 days after her sister, Lizzie. Members of her surrogate family saw to her funeral/burial wishes. 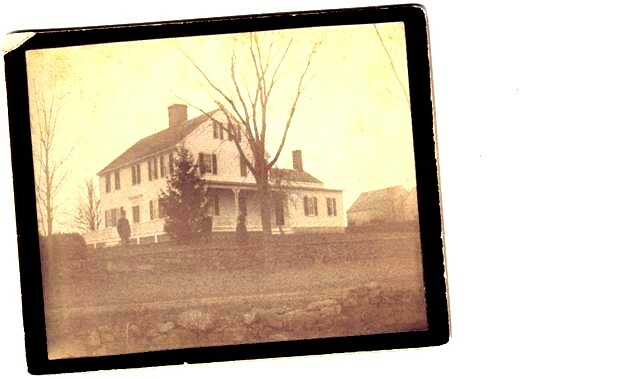 Her wake was held at Henry and Caroline Gardner’s home. Unlike Lizzie, family and friends gathered to pay their respects and the details of how things were handled was published in these papers. (Click for larger views). 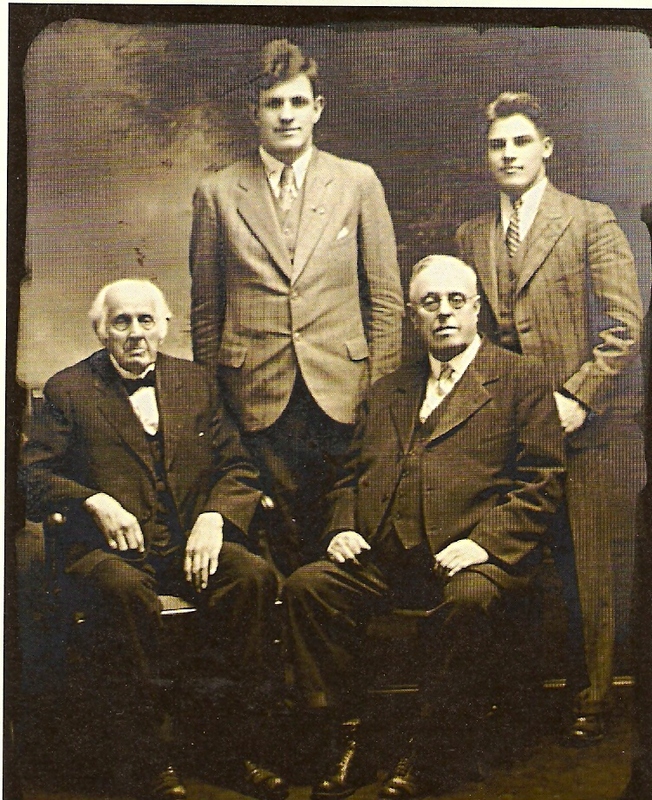 Seated left is Henry Augustus Gardner and his son Orrin to the right. In the back is Hamilton Gardner (raised by Orrin since he was about 10 years old) and his best friend “Buck”. These 3 Gardners, and many more, were at her Wake. Where we read that Emma had made her wishes known to “Mrs. 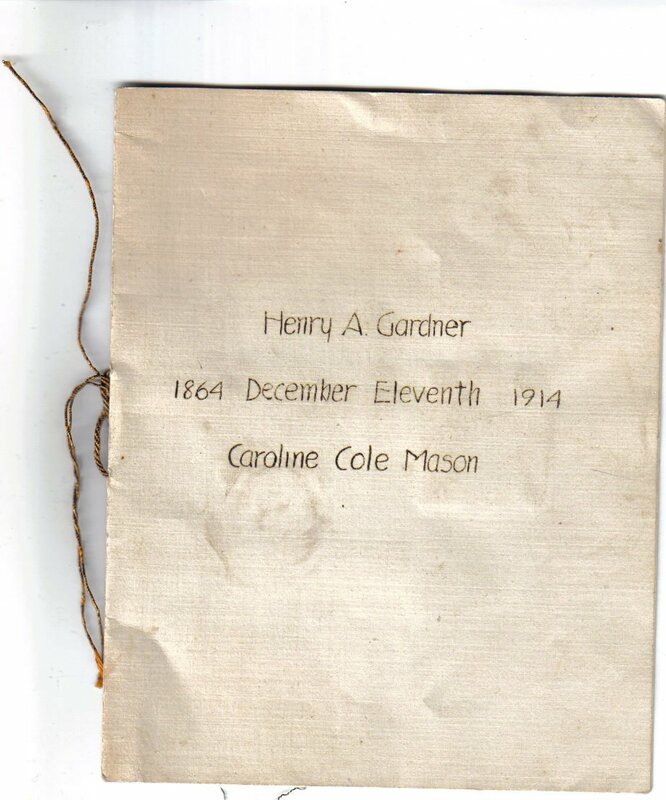 Gardner”, that would be Caroline Cole Mason Gardner who died in 1918, just seven years after celebrating her 50th Wedding Anniversary with Henry, an event which Emma attended. (Henry would go on to live until 1931). 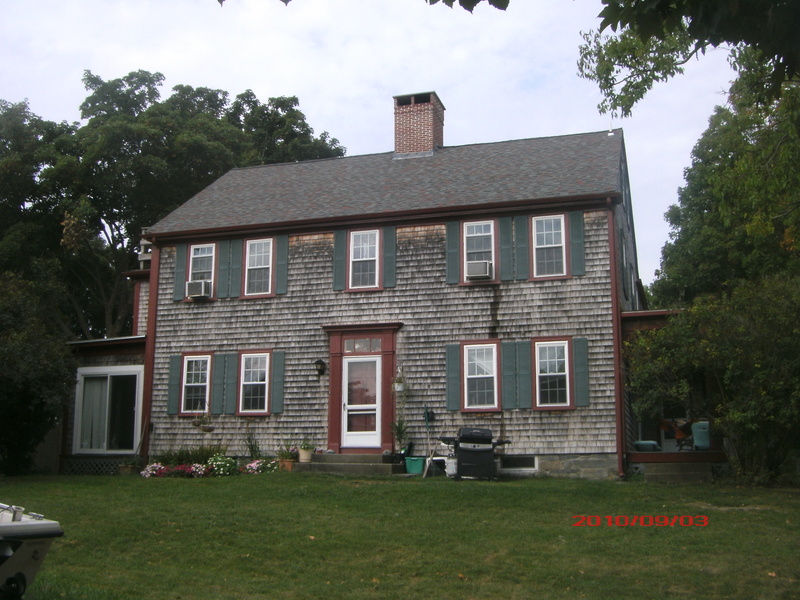 It was Caroline’s sister, Susan Francis Mason who had married Sarah Morse Borden’s brother, William Bradford Morse (they moved to Minnesota and lived all their lives there). 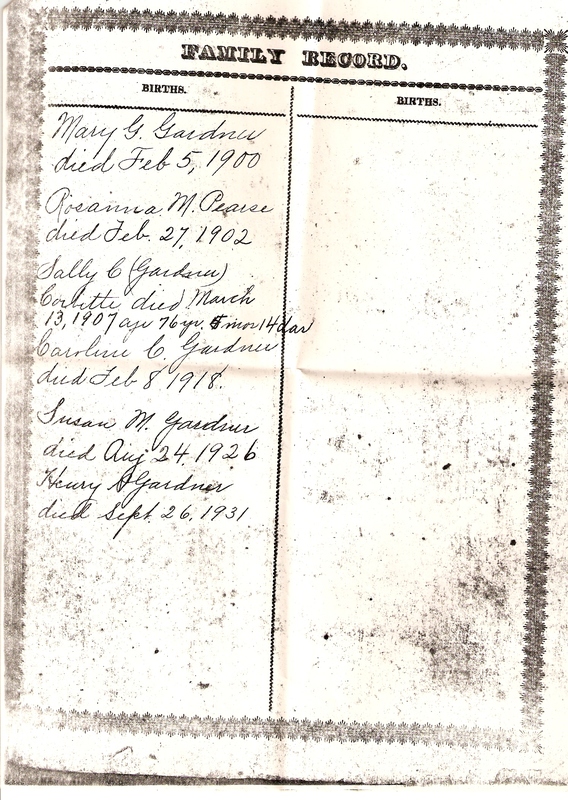 That marriage began the bloodline connection to Lizzie between the Morses and the Gardners and the Bordens (still with me here?). 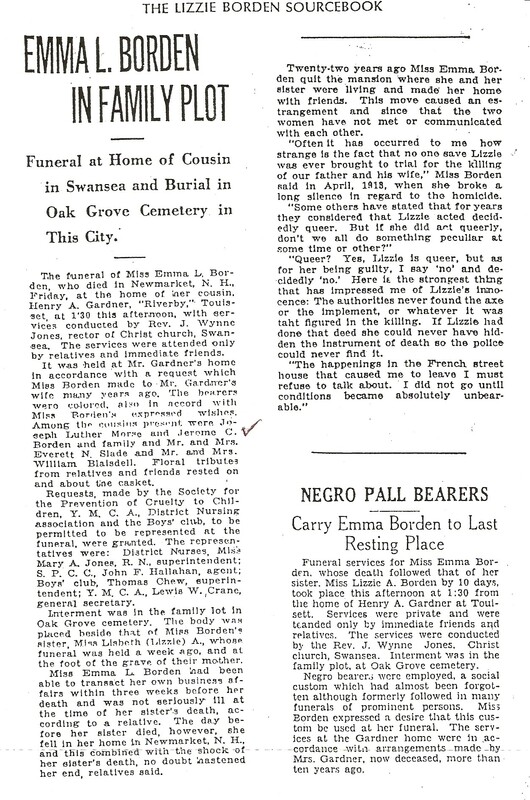 In the article below it states Emma’s wishes were to be buried by her father and stepmother. 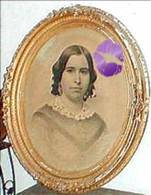 She is, in fact, buried right along side her sister which can be seen in the image of the family plot at the end of this post. It’s somewhat curious that Emma did not specify “beside my mother”. Emma had been informed of Lizzie’s death by Orrin Gardner but due to her weakened condition did not attend her burial. 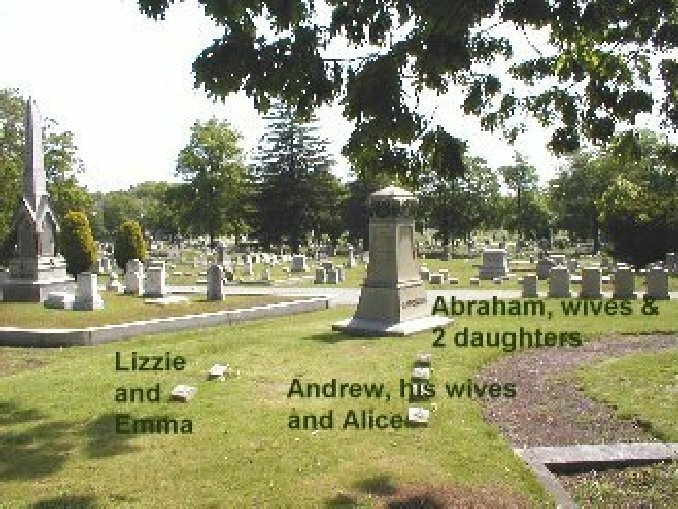 Unless the sisters spoke of the exact placements of their own future graves prior to Emma’s 1905 departure from Lizzie, Emma would not know of this layout. 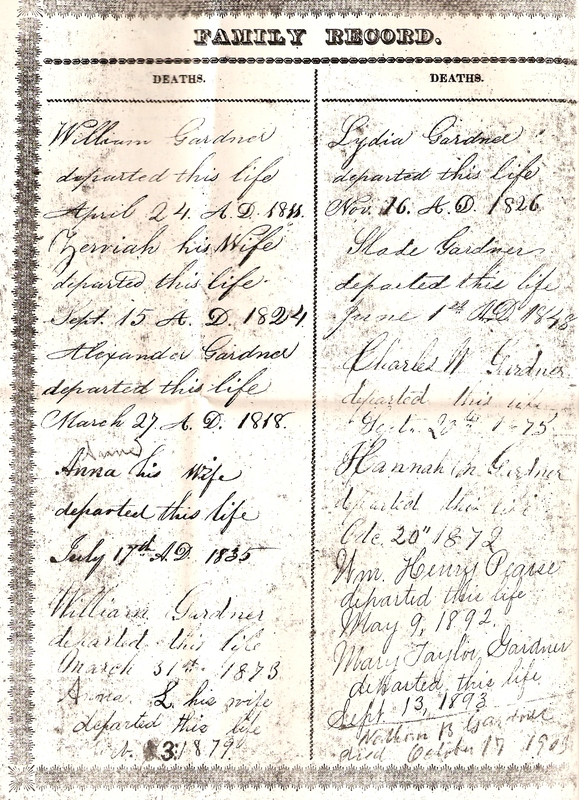 (Note: Lizzie, in her funeral instructions, requested to be buried at her father’s feet). 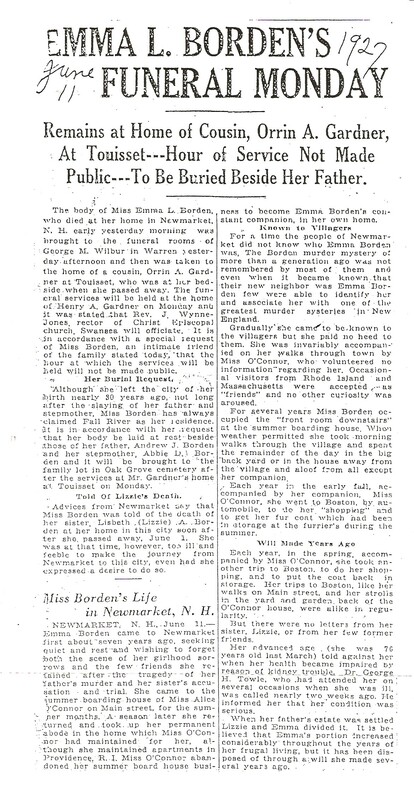 In this next article we note that Jerome C. Borden and his family attended the wake. 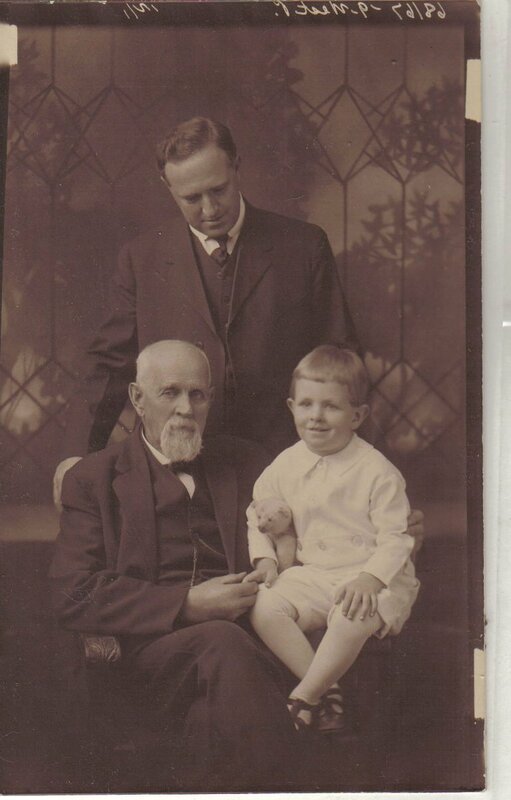 Jerome, of course, was the son of Cook Borden who was Andrew’s uncle. 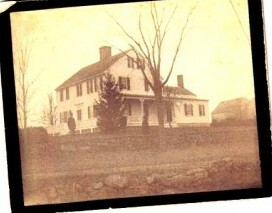 Andrew’s father, Abraham, and Cook were brothers. Jerome, Andrew’s nephew, had several daughters several years younger than the previously departed Lizbeth of Maplecroft. 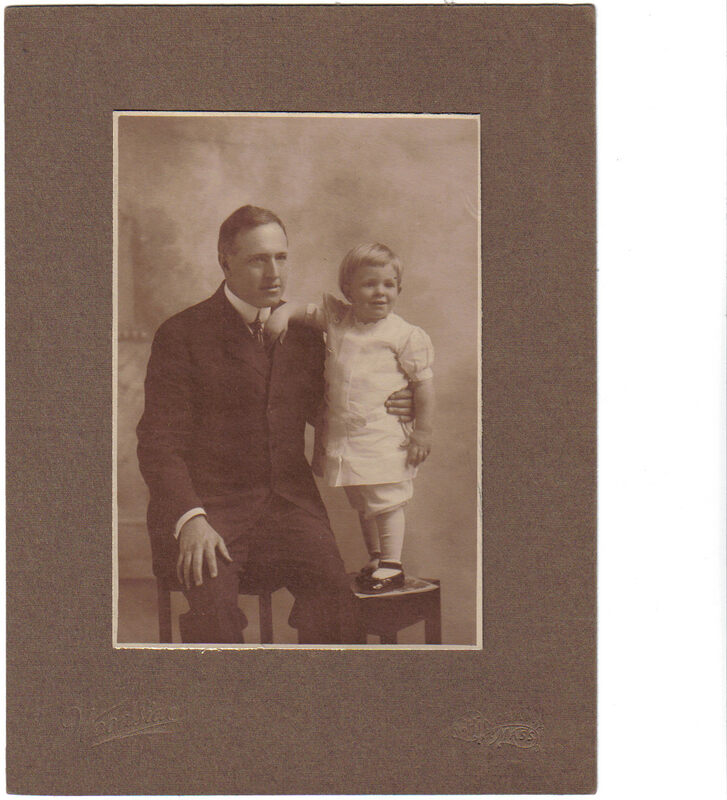 Two of those daughters were close cousins withGrace Hartley Howe, Jerome’s sister’s daughter and thereby his niece. 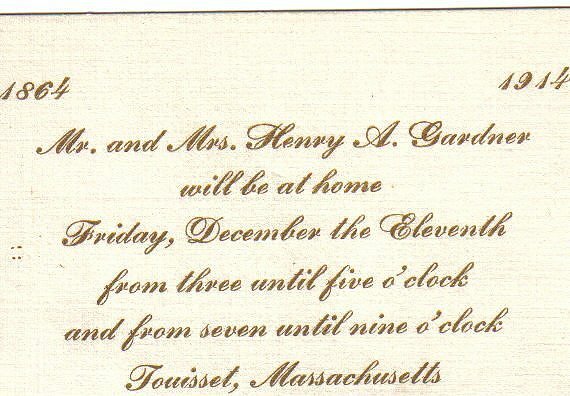 (No mention if Grace was present at the wake though I doubt it as her husband,Louis McHenry Howe was absorbed in pursuits to get Franklin Delano Roosevelt elected President). 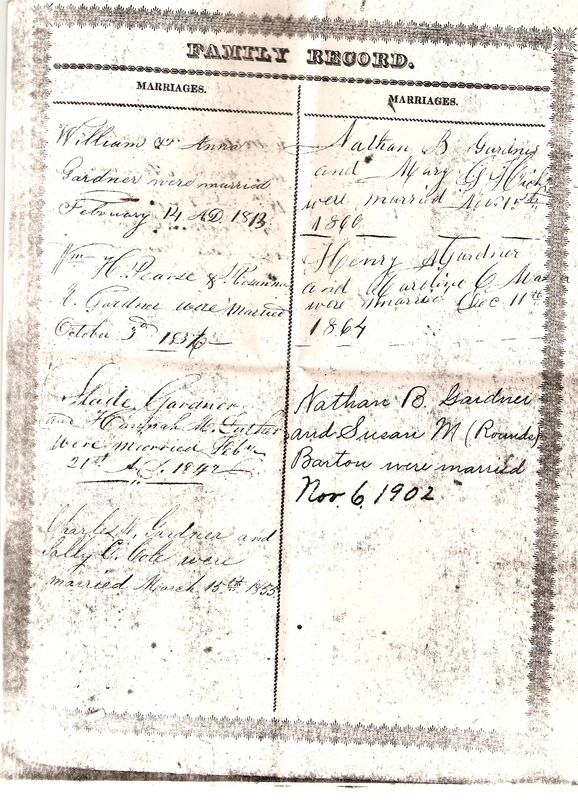 (I wonder if Jerome thought maybe Emma might have left him some money or property since Lizzie left plenty to his niece Grace as shown in her will which had been printed in the papers just that week). 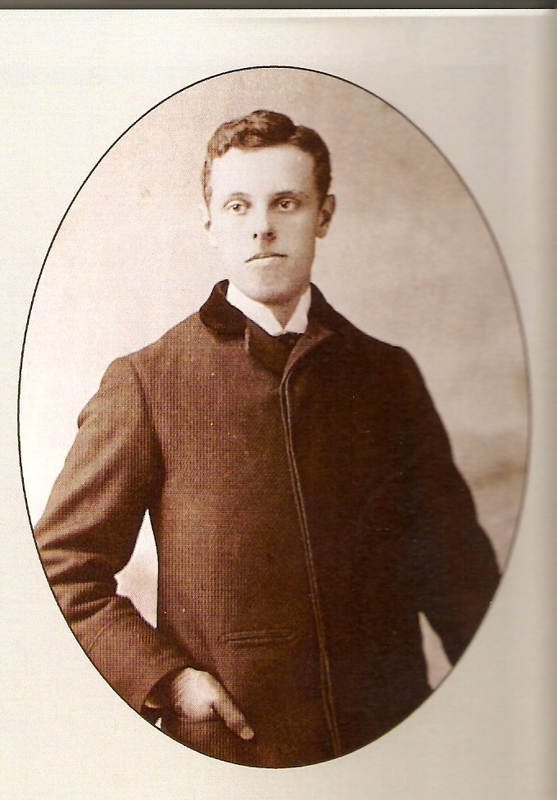 But she didn’t leave anything to Jerome who had been a staunch supporter of Lizzie during the Trial. She left plenty for the Gardners, though whereas Lizzie left them nothing. 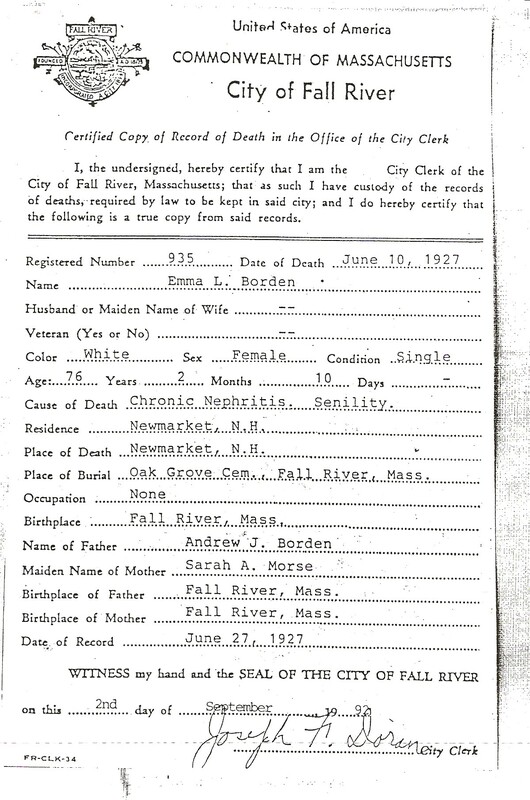 The State of New Hampshire’s Record of Death for the year ended December 31, 1927, has a July 1, 1927 entry recording her death on June 10, 1927 and internment on June 13th at Oak Grove Cemetery. The cause of death is “chronic nephritis” and “duration 2 years”. Indicated as the cause is “senility” and “unknown duration”. No mention of any fall. 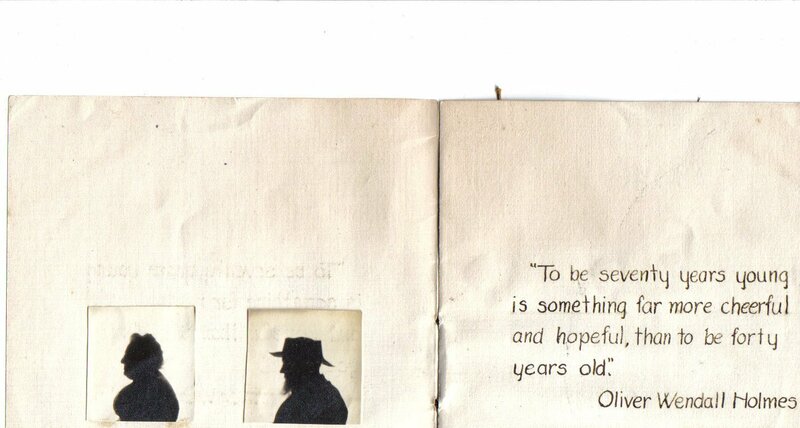 Note that under “Occupation” is written “Retired”. Indeed. 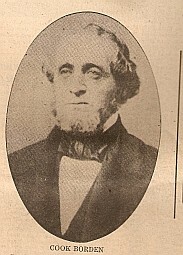 George H. Towle was the physician who pronounced her dead and reported the death. Then in 1992, comes this record of death from the State of Massachussetts showing the causing of death as both Chronic Nephritis and senility with no indication of the duration of either. 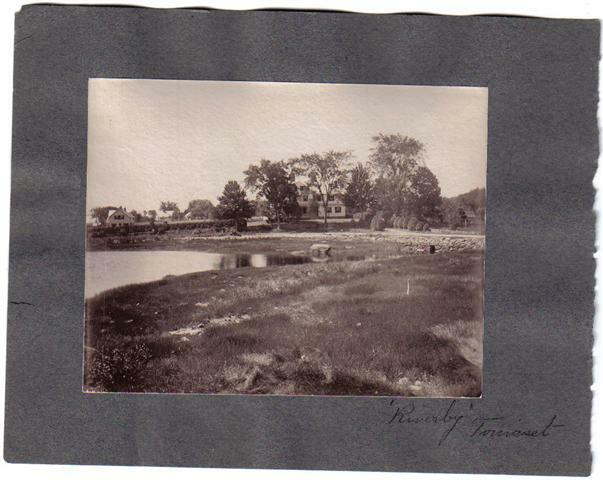 Below: Riverby (pronounced River”bye”) as it looked in the late 1920’s. 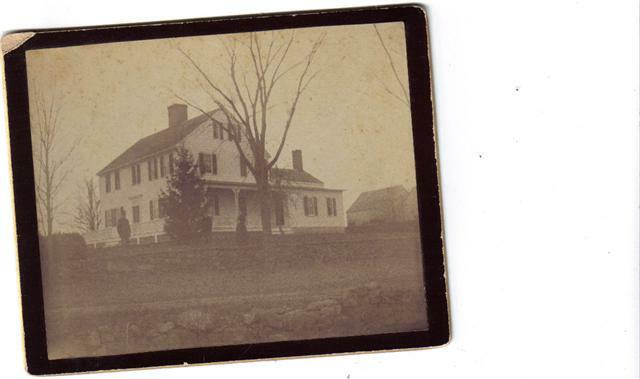 This property was originally in Caroline’s family but she and Henry lived there most of their lives operating it as a successful farm. 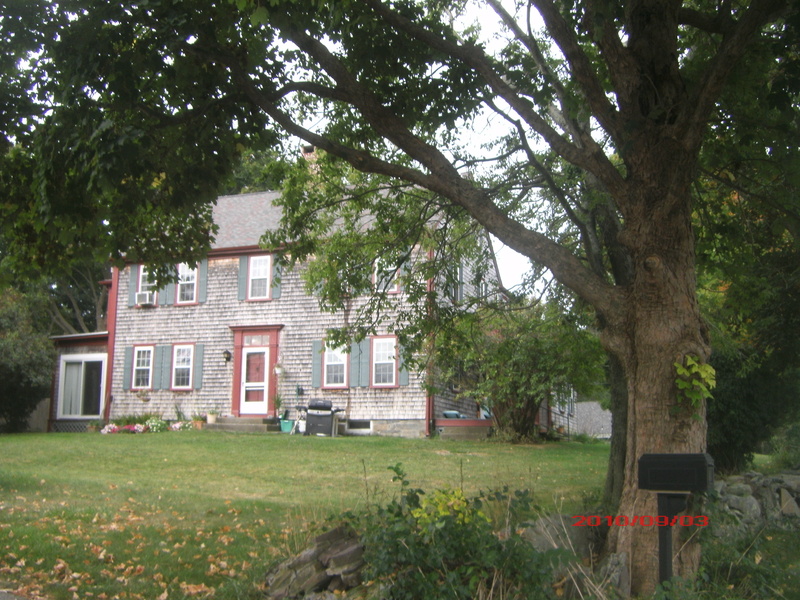 It passed on to Orrin then to Hamilton Gardner and was sold and subdivided in the 1950’s. 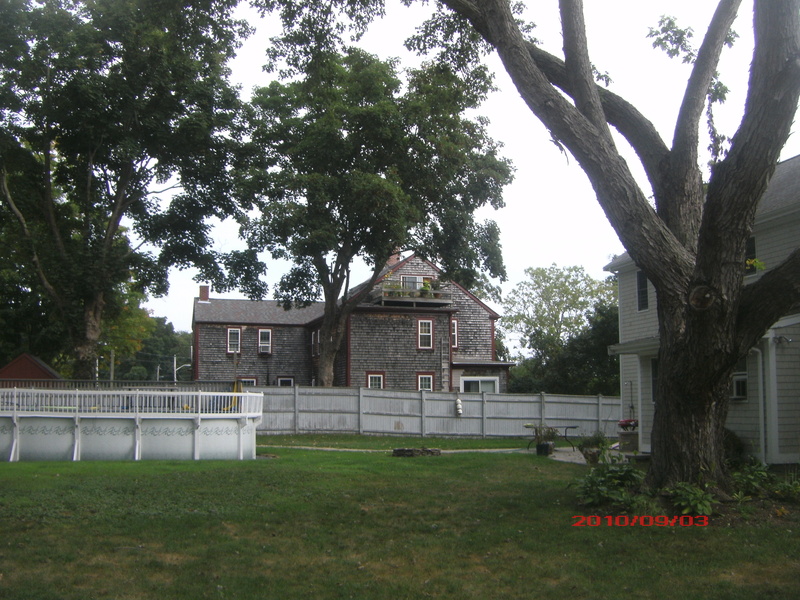 Few of the extra out-buildings remain. 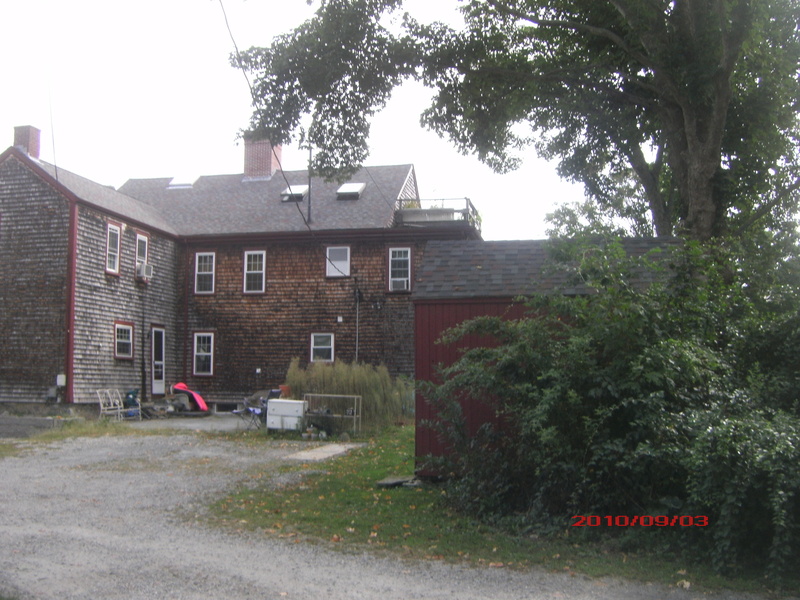 The current owner of Riverby has partitioned off several rooms, making them into apartments although the neighborhood is not zoned for that. 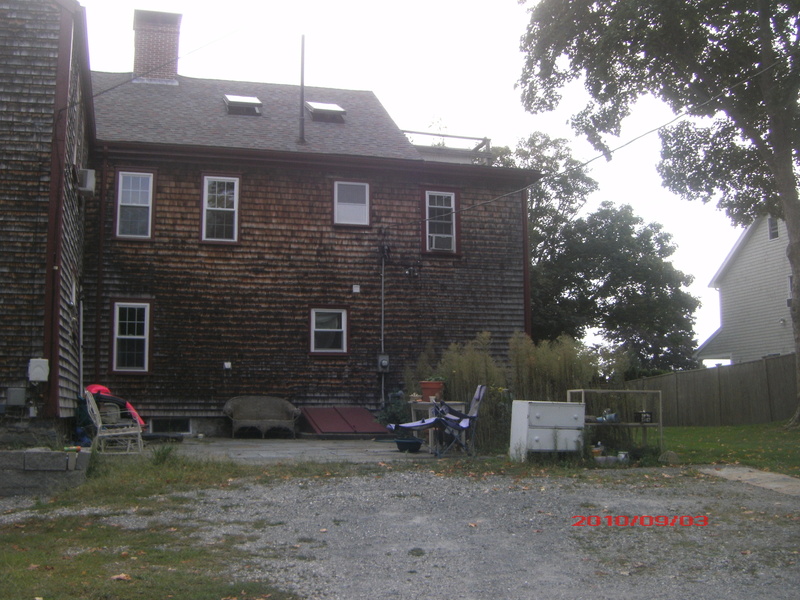 An artist lives on the first floor, a couple on the second and a musician on the 3rd floor attic rooms. Lizzie is foot-to-foot with her father; Emma is foot to foot with her mother, Sarah. Abby is next to Andrew on the outside. The overall layout has a certain symmetry that seems almost poetic. What Happened to Emma’s Stuff? 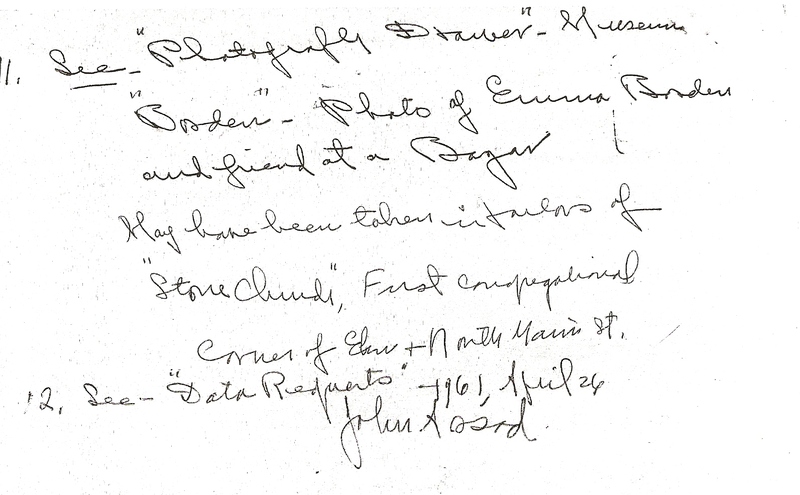 Emma Borden, Lizzie’s sister, left most of her personal property to Orrin Gardner. He, in turn, gave much to his nephew, Hamilton, son of Orrin’s brother. Before we go further, please note I’ve written about the Gardners of Swansea many times and you should review these posts HERE and HERE. So we can begin to understand how so much of it got scattered when Bailey most likely sold them in his store. I sure would like to see that photo of Emma “with a girlfriend at church bazaar” Maybe it’ll be in Parallel Lives). 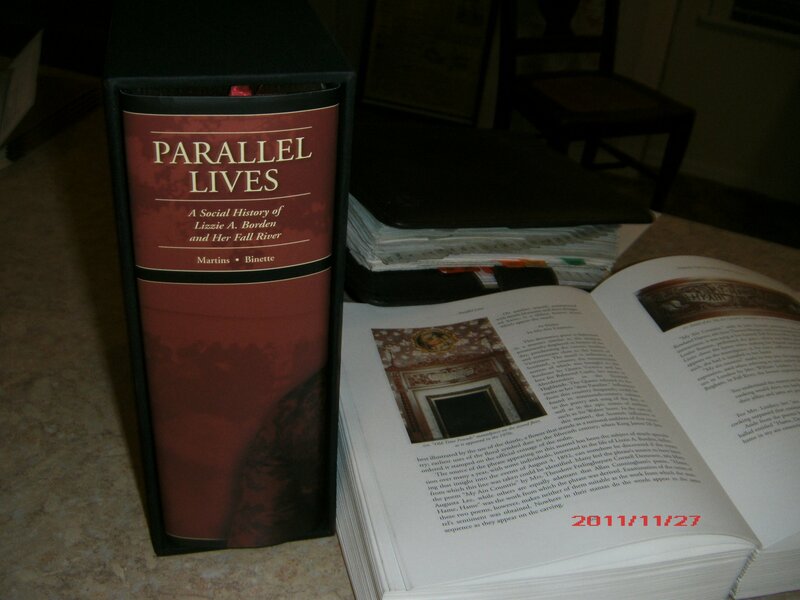 The following Recycled post will be of added new interest to those who purchased Parallel Lives. Indeed, as we’ve learned from that book, Emma was no recluse. 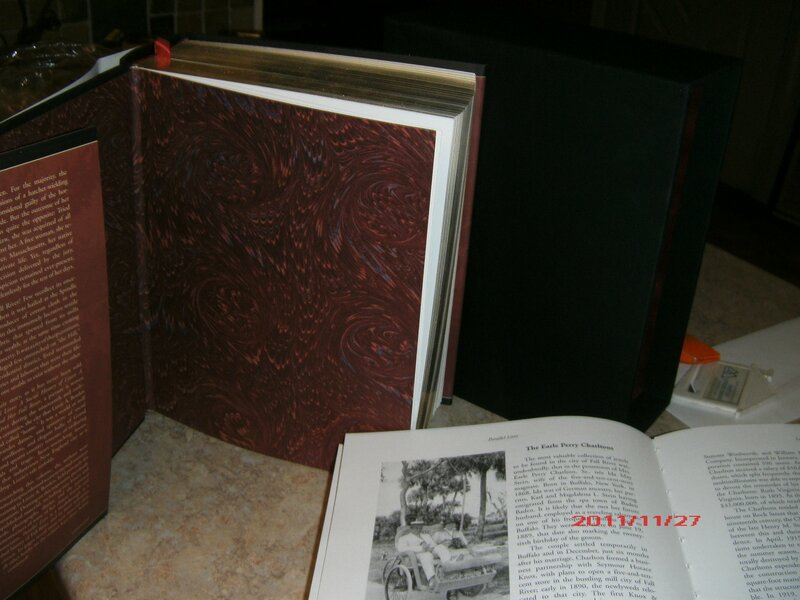 Beginning on page 748, I believe, the writers go into depth of the Gardners from the Henry Augusta Gardner line. Enjoy. 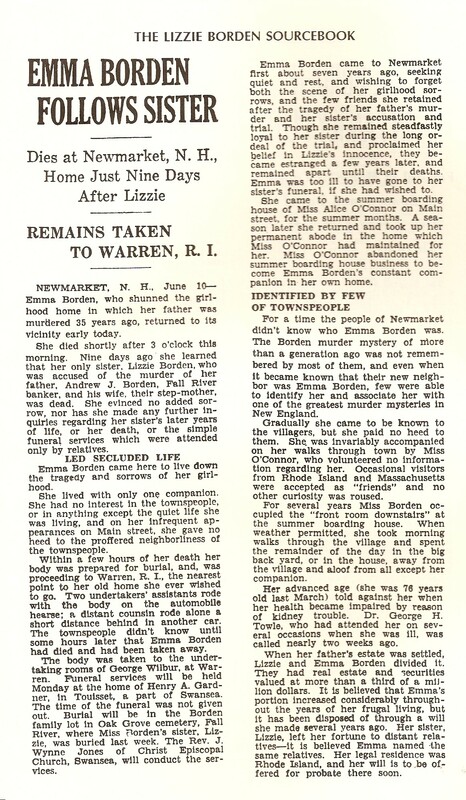 One of the urban legends in the Borden case is that Emma Borden became a recluse, rarely went out, and had no family after departing from her infamous sister, Lizzie. Not true – at least not until the final few years of her life, when she was infirm and senile. 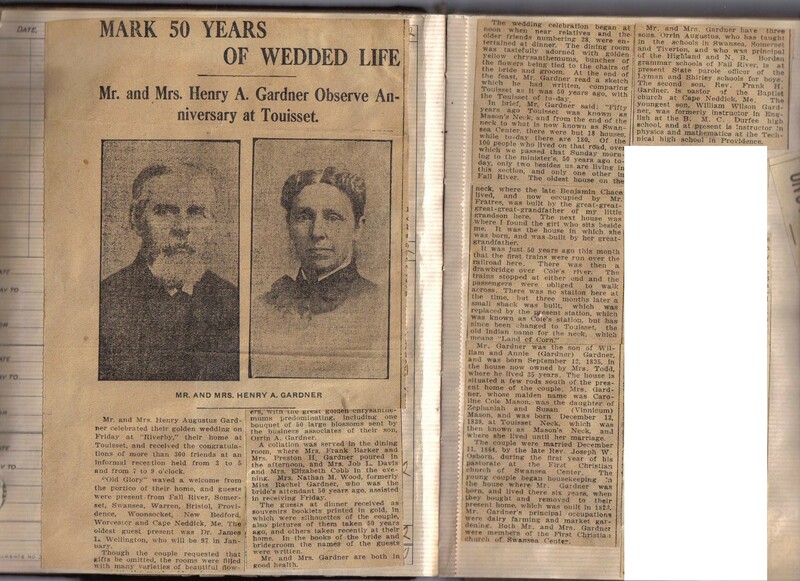 I’ve written before of the Gardners of Swansea who became a sort of surrogate family to Emma Borden when she departed forever from her sister, Lizzie in 1905. 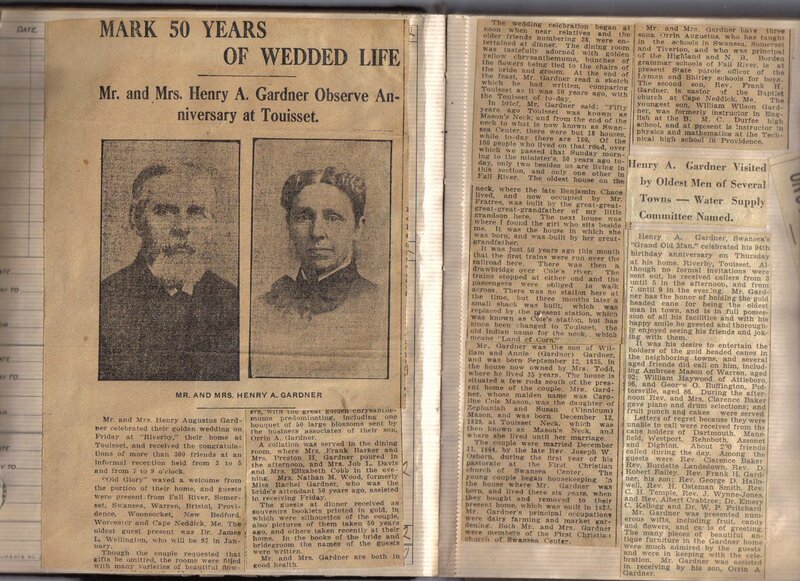 On December 11, 1914, Henry Augustus Gardner (the patriarch of the family) and his wife, Caroline Cole Mason Gardner, celebrated their 50th wedding anniversary at their home “Riverby” in Touisset. 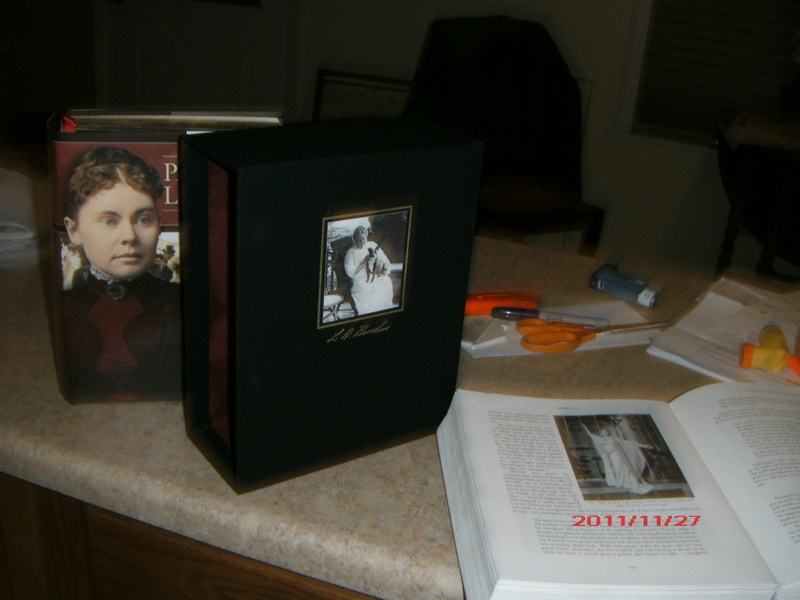 They had put together this little commemorative booklet (from my collection) for each of their guests which included Emma Borden as she attended and received such a booklet. 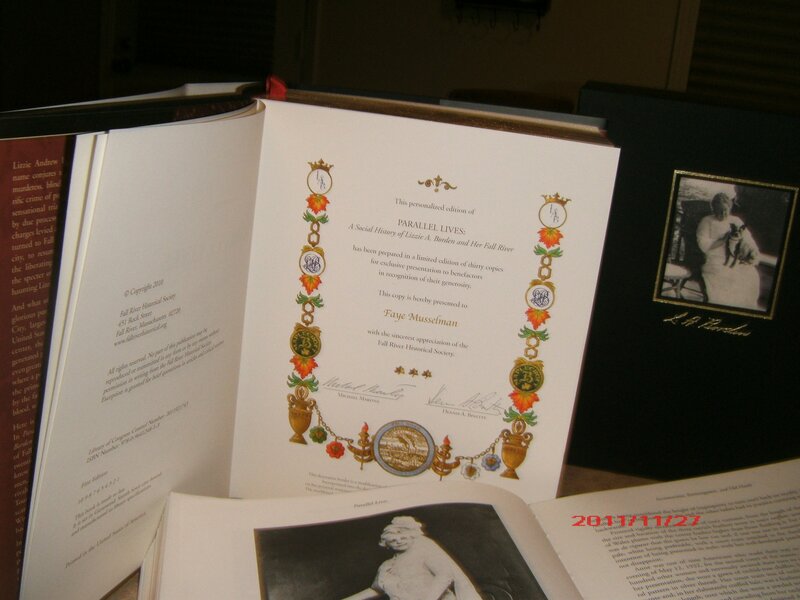 Emma attended this event and her signature can be seen 4th down on the left side. 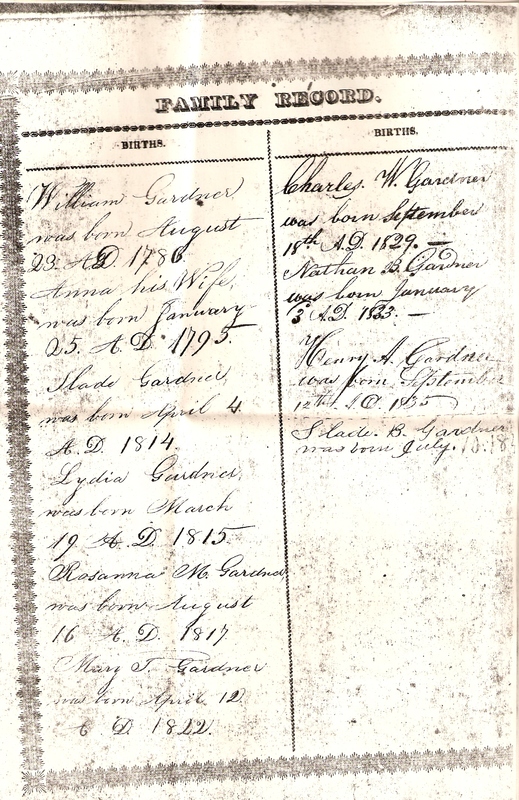 Little Hamilton Gardner, son of William, left his “mark” on the bottom of the right side. 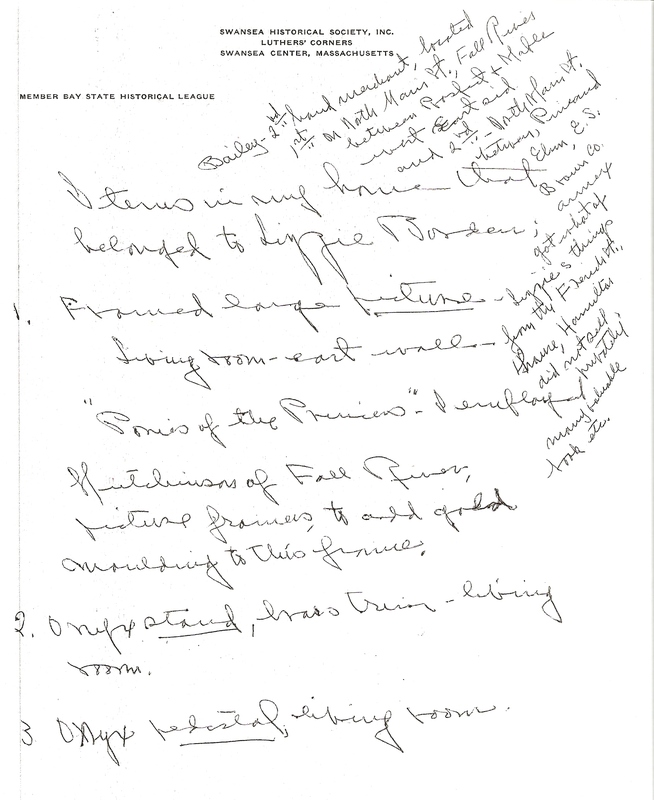 At the top you see Doris Gardner’s name and her mark. Having parallel lives, she and Hamilton ended up husband and wife. More on her later. 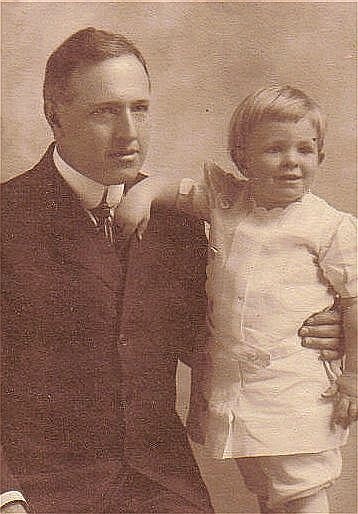 When Hamilton’s father died, he was raised by his uncle, Orrin Gardner. Emma was particularly fond of and close to Orrin. 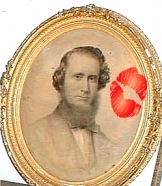 And from evidence of her including him in an income trust and mentions elsewhere, she was also fond of Hamilton, who was a teenager when Emma died. Emma, in fact, attended birthday parties, clam boils, weddings, funerals, and holidays with many of the people and their children shown in the oval picture below. 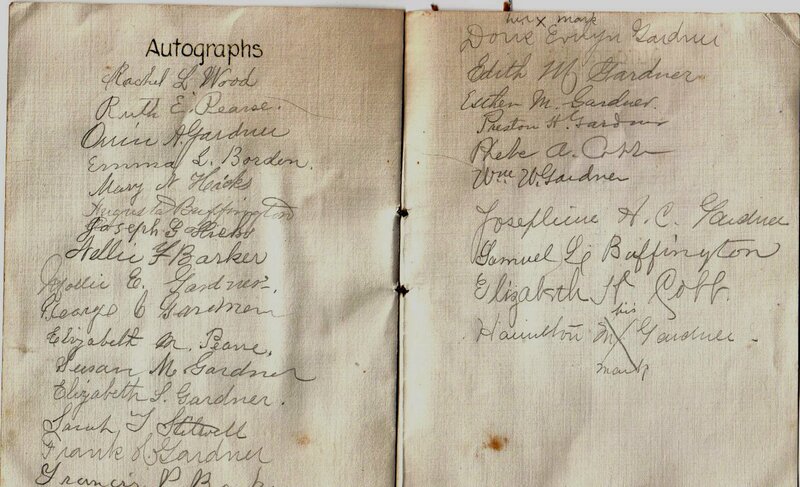 If you study the names and compare it to the guest signatures above, you’ll note most of them attended this event, as well as many of their offspring. Here is a full account of the event as reported in the newspaper. The quote of Henry Augustus speaking of how the area was when he first moved there to the “present” (i.e. 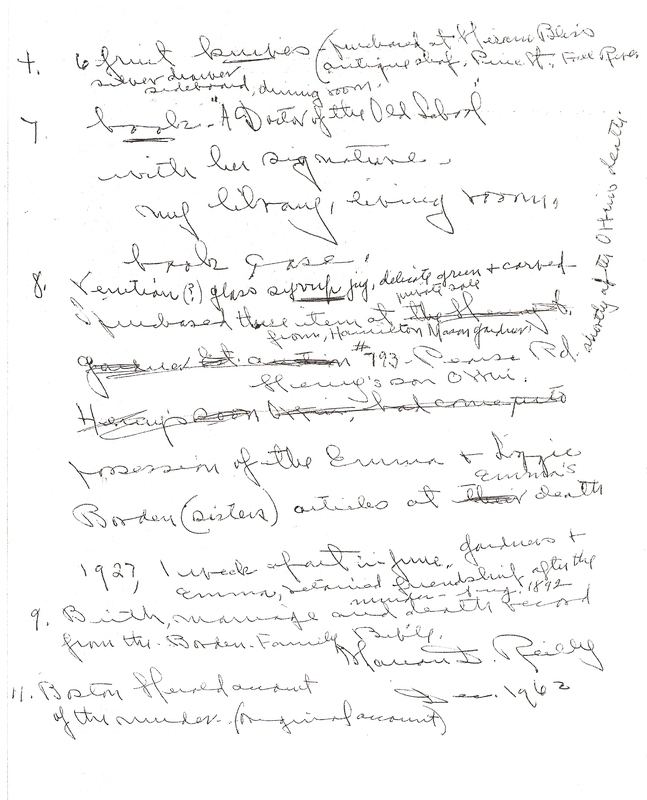 1914) is particularly interesting. As stated above, this was not the only Gardner family event Emma attended. 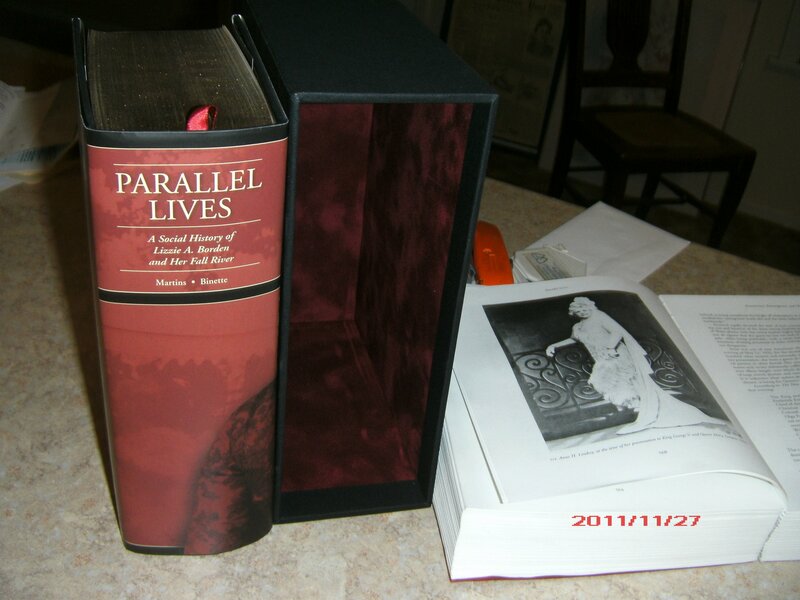 My collection includes other documentation of Emma’s surrogate family and travels. She spent a lot of time with Preston Gardner’s wife, Mary and their daughter, Maude, all of whom she favored in income trusts and her will. 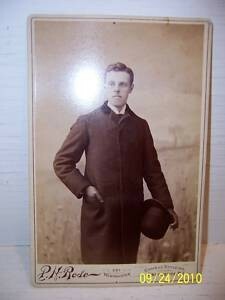 A little over a week ago I spotted this assortment of cabinet card photos on eBay and recognized Orrin Gardner, Lizzie & Emma’s cousin from Swansea who was a primary legatee in Emma Borden’s Will. The Seller said she got it at a flea market many years ago where there were dozens in a box and she picked these out at random. 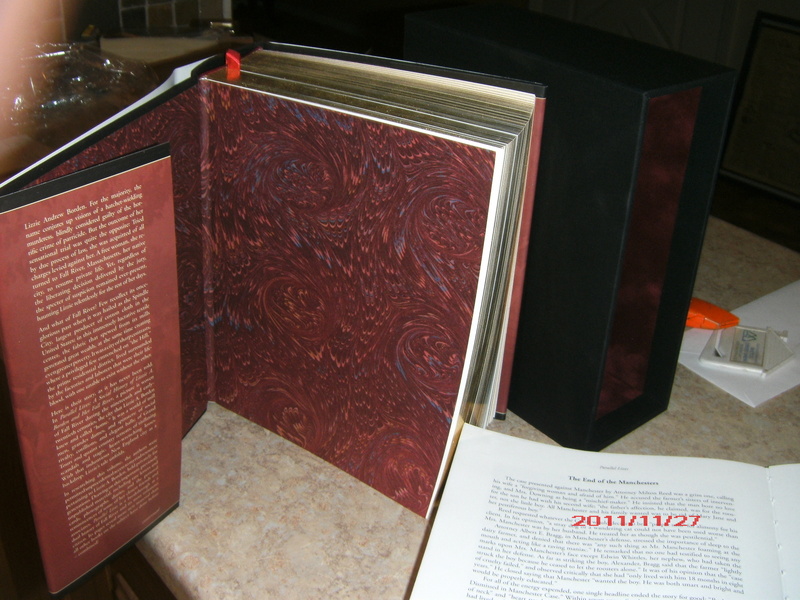 I didn’t bid because I already have it and had included it in a previous blog. 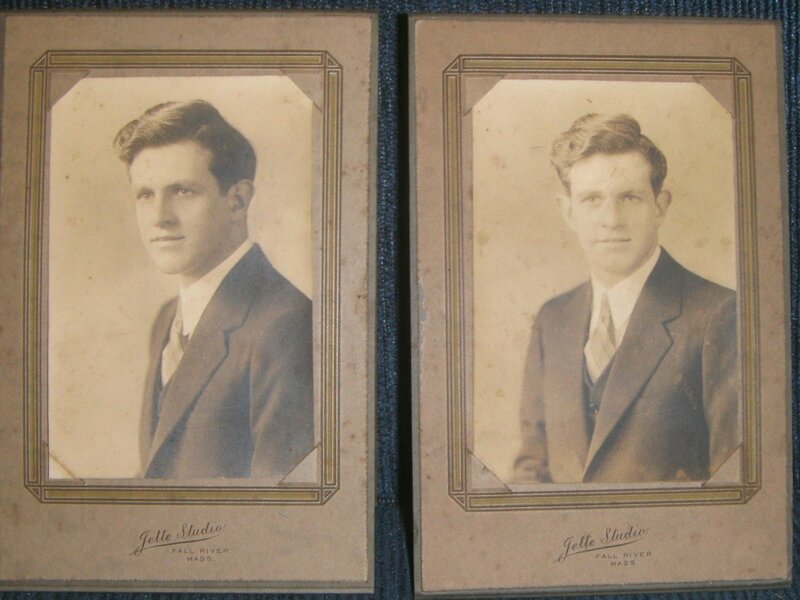 It is, in fact, Orrin’s high school graduation picture. 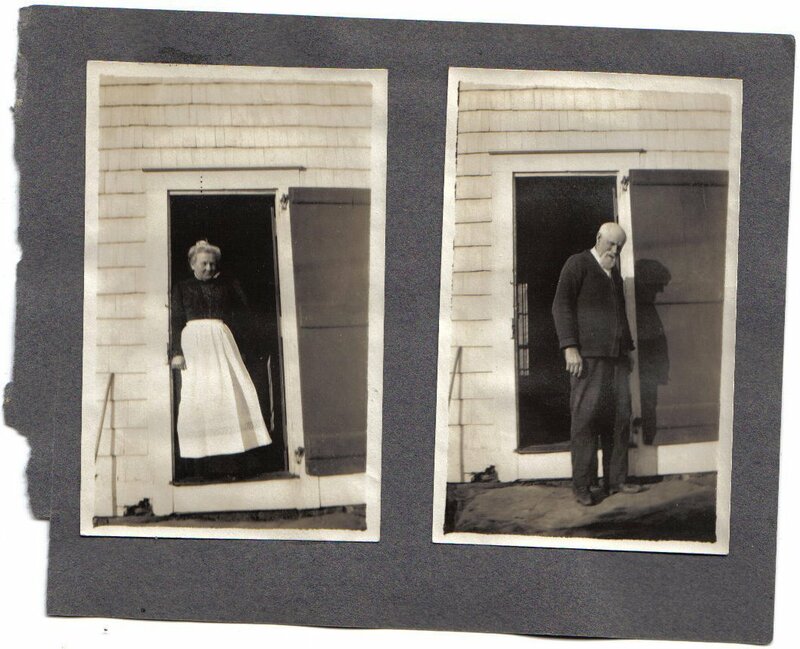 Original issues are in a Gardner family album archived at the Swansea Historical Society in Swansea, MA. 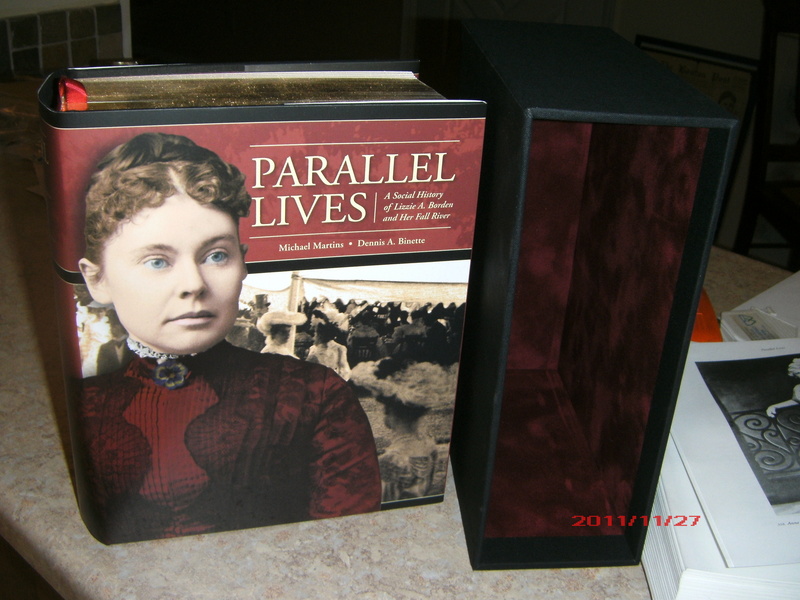 Perhaps a cabinet photo of Lizzie, many years post Trial, is now residing in a box or tray on some dusty shelf at an antique store still unrecognized by the many eyes who finger through it. 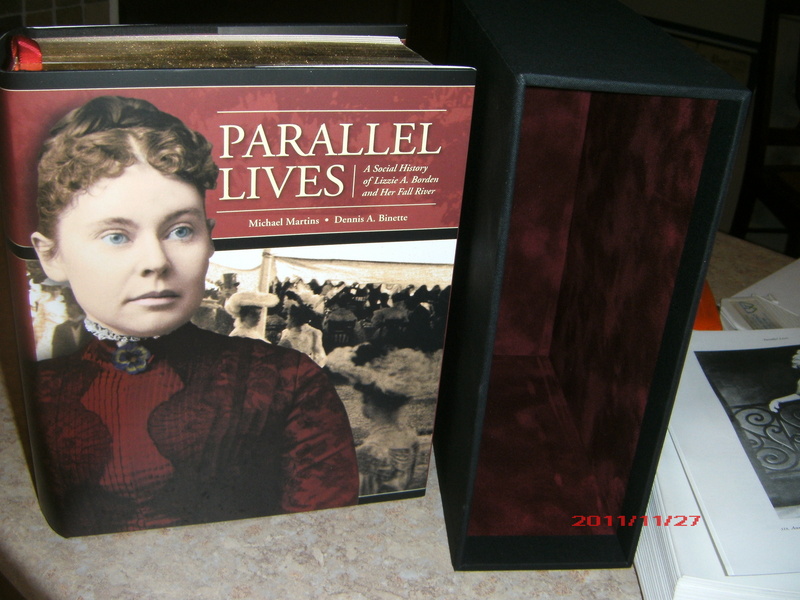 Oh well, we’ll have plenty to salivate over when the Fall River Historical Society’s Parallel Lives is published.